Arya, Tamanna, Santhanam starring Vasuvum Saravananum Onna Padichavanga shooting completely wrapped. Excited Arya shared the news on his verified Twitter page. 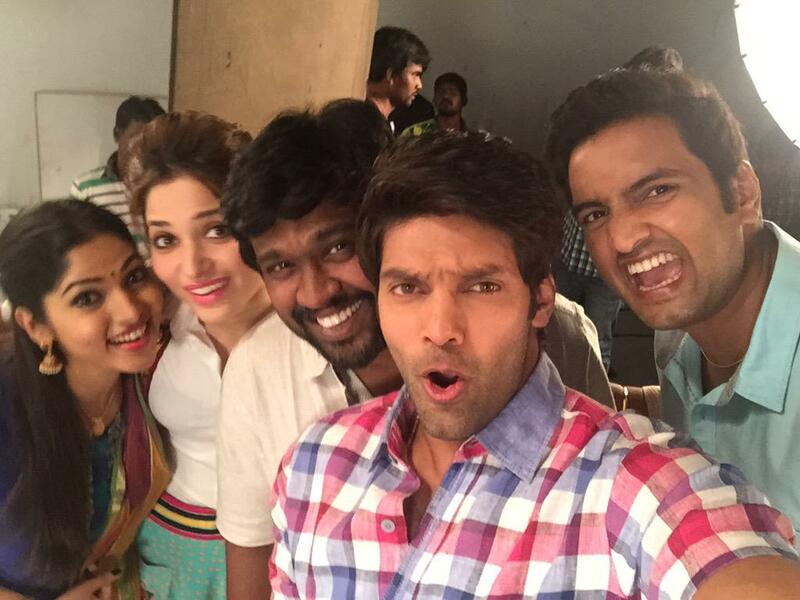 "#VSOP wrapped up thks a million to each n everyone who were a part of dis filmlove u all @tamannaahspeaks", Arya posted along with some stills. Directed by M Rajesh, Arya himself produced VSOP on The Show People banner. Karunakaran, Vidyullekha, Bhanu, Raman and Siddharth Vipin played key roles in VSOP that has Music: D Imman, cinematography: Nirav Shah, Editing: Vivek Harshan among crew.